When you went to look at the house that has now become your home, you probably filled your head with fantasies about how you would decorate, where your furniture would go, and what you would buy to make the home unique and personal. It’s so exciting to finally be able to use the all the DIY home decorating ideas you’ve been saving on Pinterest for years. It can be impossible to make all of your decorating aspirations into a reality, however, when you have limited space. Whether your new home is smaller than your last living space or simply not as large as you wish it could be, it’s always nice to have extra entertaining space and storage room. Here are some practical and decorative ways to maximize the space in each and every room. So your drawers are full, your dishes are stacked to the top of your cabinets, and you have to go grocery shopping twice as often so that all your food will fit. We might have a couple of tricks for you to maximize your storage and counter space. 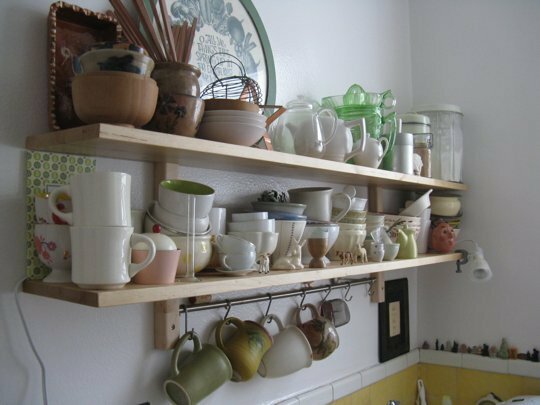 Every inch of space on your counter is valuable, so if it’s possible, use hooks and shelves to hang things from the wall. You can buy or build racks for cups, pots, and knives. Not only will that save you space, it is also much more convenient to have all of your materials on hand when you need them. When it comes to small kitchens, corners are the worst! It’s hard to access pots and pans that area stored in the back corners of your cabinets, and it’s an awkward area to store appliances in on the countertop. There are plenty of solutions to this problem, though! Corner drawers and Lazy Susans are convenient storage spaces for pots and dishes that nestle comfortably in those awkward corner cabinet spaces that you otherwise would have trouble getting to. 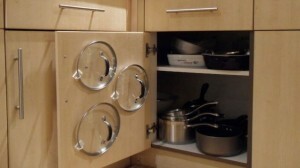 Pot lids and other items can be held to a cabinet door with command hooks or even magnets. An option to consider for your kitchen sink is foldable faucets. 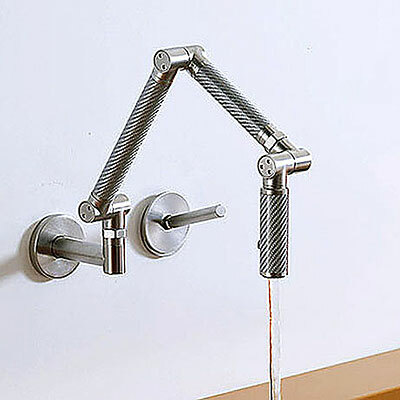 They are compact and practical- just right for small sinks and counters. The bathroom is probably the smallest room in your house, but it is used everyday for many different purposes. 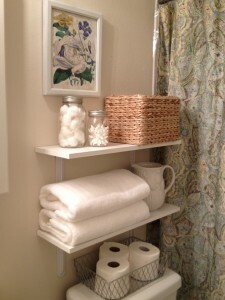 It can be miserable trying to get ready in the morning in a tiny bathroom, and it just gets worse if you don’t have storage space for products, towels, or toilet paper. But don’t forget my first rule! Always look up instead of down. 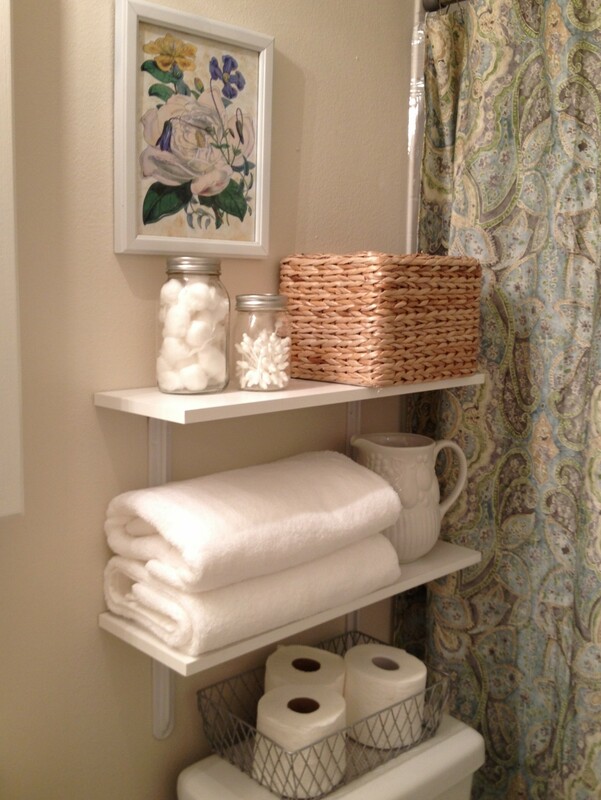 Build shelves if possible to store extra cleaning products and toiletries. 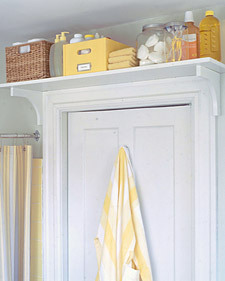 If you have room, the space above your bathroom door is prime real estate! If you aren’t lucky enough to have high ceilings, think about building some behind the toilet. To make a small bathroom appear larger than it is, paint it in a monochromatic color scheme. That is especially helpful if you use white or other light colors. Use large mirrors; keep the floor totally clear if possible; and get smaller, more modern fixtures. All of these tricks will create the illusion of the room being larger than it is. 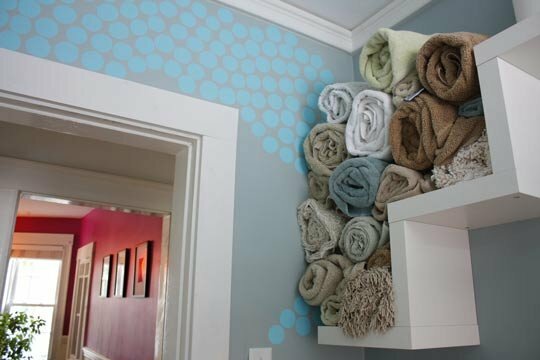 These are just some of the many creative ideas for saving space in your home. Which ones have you tried? Stay on the lookout for more Space Saving Solutions for your small house. Or, if it’s time for you to upgrade entirely, call The Song Real Estate team today!